With the modern FARM LIFE device you will save effort, money, time and get real results at 100%, you’ll be sure to notice the difference with all the traditional commercial devices. After several tests, investigations and explorations of groundwater in all the countries of the Middle East, Asia, North Africa, the entire American continent and Europe, experts and engineers specialized in water detection came to the Conclusion that the German technology and engineering locator FARM LIFE, is a specialist and unique product in the exploration and detection of aquifers and artisanal wells. This water locator, Works automatically with integrated geological system and measures the signals between the probes of the soil to study to check the existence of water, in addition compares the values of the measurement with the basic values, analyzes the data and the It shows directly on the high resolution LCD screen, the data showing are the type of water discovered (fresh, salty, natural), water depth and water percentage, the data are high precision. 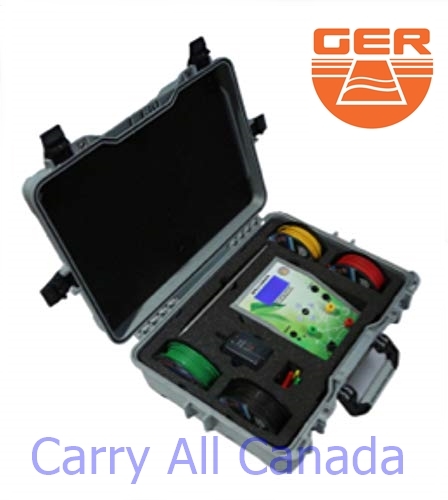 This product is manufactured to be a specialist in detecting underwater water, equipped with the highest technology to work in all different terrains, has different functions to ensure that the reference scope to the goal is strong and true. It works with all weather and ground conditions, at all levels of temperature and humidity, withstands temperatures and humidity of 75% maximum. Discover water at depths up to 850 meters below the ground with the ability to define depth in meters and centimeters. Covers 1.500 square meters of detection area. It has four electric probes. The device is powered by a 12-volt battery that allows you to work for 4 continuous hours. All components of the device come in a strong anti-shock case. An aluminum bag with a special sponge. The case size is: 45 cm-width 33 cm-15 cm height. The best of German industry. A certificate of origin and a two-year warranty from the date of purchase.